Here in Fresno, heating is definitely a season concern, though it’s not quite the all-consuming necessity that it is in colder places back east. We get our share of chilly nights, but overall the weather here in the Central Valley is very mild. That could leave some homeowners to look into ways to minimize their heating bill in any way they can, using it only during those cold nights when they really need it. A zone control system could be the answer, and luckily, installing zone controls in an existing system is easier than it sounds. Zone controls basically divide the home into sections, with a separate control for each one. That allows you to shift the temperature up and down individual rooms: to have one temperature in a bedroom which might be particularly chilly, while having a completely different temperature in the kitchen were you may be cooking over a hot stove. You can even turn off the heat in areas of the house you aren’t using. Often, zone controls can be installed most easily when installing a new heating system, and often involves individual units placed around your home, each with their own controls. That renders an existing duct system inert, however, and may be more than many homeowners want to take on. Luckily, you can install controls in an existing duct system. Specifically, the technician places a series of dampers and valves at strategic points in your duct system, then set up controls that allow you to open and close them at will. That achieves the same effect as a ductless system while still making full use of your existing furnace. Having said that, you still need the right service if you want to properly install zone controls in an existing system. 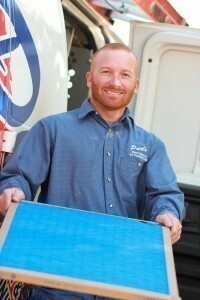 Luckily, the Fresno heating specialists at Purl’s Sheet Metal & Air Conditioning are on the job. We have plenty of experience with adding zone controls to your existing ducts, and will go through all of the steps with you before performing the task. Call us today to set up an appointment. We’d be happy to discuss your options with you! Heating is largely a concern for the winter months here in Central California, which is when repairs are most likely necessary. No one worries about fixing a heater in the summer when temperatures top 100 degrees, and here in Fresno, heating installation services can easily perform repairs when they arise. But rather than waiting for a breakdown to occur, you can take steps to prevent the problem from ever coming up. Here’s how to avoid heating repairs in Fresno before they start. In the first place, it pays to have a regular maintenance session schedule at least once a year. A trained technician can come to your home and go over your heater to check for any potential problems. If one arises, you can schedule a session quickly before the problem gets any worse. Furthermore, a maintenance session will clean off dust and dirt, tighten loose fittings and perform other “tune-up” services that reduce overall wear and tear. A cleaner furnace has fewer problems with its burners, won’t causes as much friction on moving parts, and won’t need to expend as much energy to do its job. Another good step is to simply pay close attention to the functioning of your heater, and call in a technician the moment anything out of the ordinary arises. Your furnace doesn’t need to stop functioning to indicate that it could use a little TLC. For example, your monthly energy bills may go up even though you aren’t using you air conditioner any more than normal. Or you may notice a strange sound whenever you turn your heater on that wasn’t there before. It may not stop the heater from functioning right away, but the risk grows the more time that goes by. Regardless of the circumstances, you need a reliable Fresno heating installation technician on call to help avoid heating repairs before they start. Purl’s Sheet Metal & Air Conditioning handles maintenance issues, we operate in Fresno, heating installation services are part of our services as well, and we can discuss all of your options with you before we start work. Pick up the phone and give us a call today. You’ll be glad that you did! 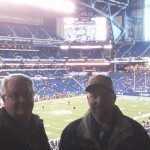 In early December, Michael Purl, Mickie Purl and Brian Driggs were invited to attend a special weekend in Indianapolis to celebrate the Carrier Dealer Hall of Fame honorees. 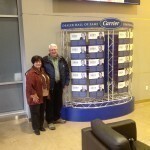 Michael Purl was inducted into the Carrier Dealer Hall of Fame in 2010 (see video below). Michael was nominated & chosen for his business accomplishments as well as his extensive list of community service activities and leadership roles. It has been a wonderful honor and experience for Michael and Mickie Purl and for the Purl’s Sheet Metal & Air Conditioning team. 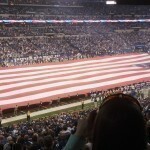 The weekend consisted of attending the Indianapolis Colts football game as special recognized guests, Carrier hosted dinner party, business meeting, and a tour of the corporate plant facilities. It was a wonderful weekend and a great opportunity to visit with all of the past and present Carrier Dealer Hall of Fame honorees. The Carrier Dealer Hall of Fame awards are presented annually to a very select few industry leading contractors. These awards are lifetime achievement awards given to a person who exemplifies the dedication of a life and a lifetime of service and contributions to the HVAC industry, their employees and their own community. Honorees exemplify compassion and commitment to their employee’s communities, and customers. It is modeled on the vision statement of Carrier founder, Willis Carrier.